As soon as the announcement was made in the media that Shakira is visiting her father’s hometown of Zahle; regardless of “minee hay Shakira? !” (who is this Shakira! ?”); an opportunity to celebrate raised between residents whispering “bent Mubarak jeyeh tzourna men amerka” (the Mubarak Daughter is visiting us from America). Colombia you mean? Wlak eh Amerka! (YES, America!) is she married or single? married to a catholic.. (eh, bravo!). 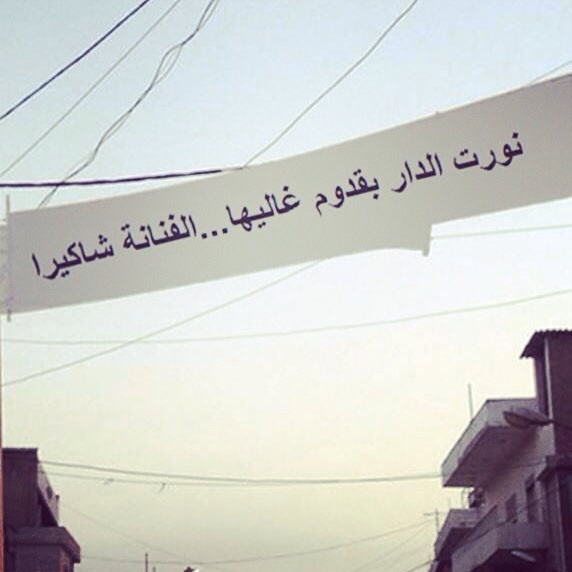 Banners established at the entrance of the city to welcome Shakira, baskets of rice and flowers prepared to pamper Shakira, and a pair of lambs slaughtered for the making of kibbeh nayeh; to feed Shakira. 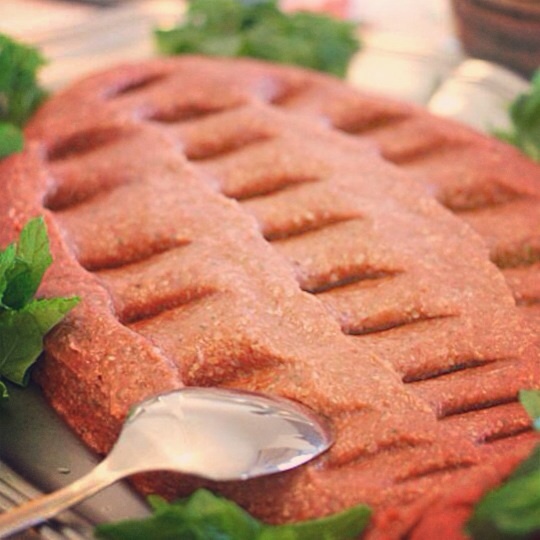 Kibbeh nayeh is a national authentic Lebanese dish of raw minced lamb, burghul (cracked wheat) and spices. The secret to this rustic dish is establishing an excellent friendship with your local butcher to guarantee the usage of the freshest meat that is finely minced on the day. I grew up watching my grandmother “Nohad” handcrafting this recipe with utter seriousness yet with so much affection; I understood instantly that she’s not only delivering quality food, but extreme love.“To prepare the raw kibbeh, the burghul must first be rinsed and soaked with cold water” she said. She took 500g very fresh minced lamb, and smelled its freshness one more time before she mixed it with ¾ cup of fine washed and drained burghul, ½ puree of onion, and a little cold water. She dipped her hands in the cold water, and with the palm of her hands she started kneading the ingredients together. “Spices don’t need to be measured” my grandmother said. “You add a little at a time as you knead, then taste it and add a little more until you think you got the balance of salt, pepper, cinnamon, and cayenne right”, tasting and adjusting the seasoning, until your heart tells you it’s ready to be served. 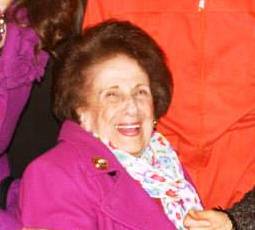 Once finished, she flattened the Kibbeh on a plate and dipped little holes with the knife for the Kibbeh to breathe. To sign off her piece of art, she drizzled olive oil on top and garnished the sides of the plate with chopped onion and fresh mint. Zahle is a symbol of generosity by all means. Hospitality (and hospitals) was well defined in this humble city where everyone is welcome. When you visit us, we will take good care of you and make sure we will be imprinted in your heart and memory, forever.